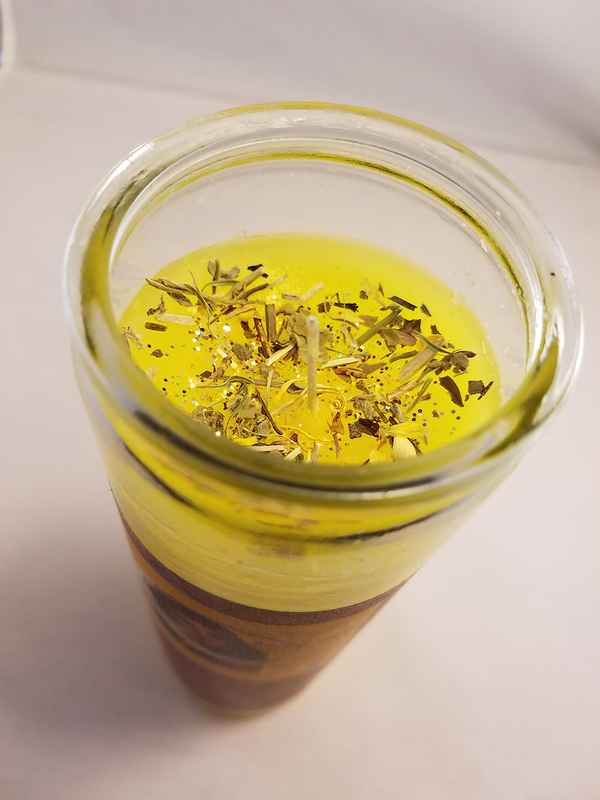 These 7-day labeled glass-encased condition candles are the most popular for spiritual and magical usage. These are very effective for focused spell work. A petition or photo can be attached to the label on the outside of the glass as desired. Our 7-day glass-encased candles generally burn for 4-7 days each, depending on conditions. 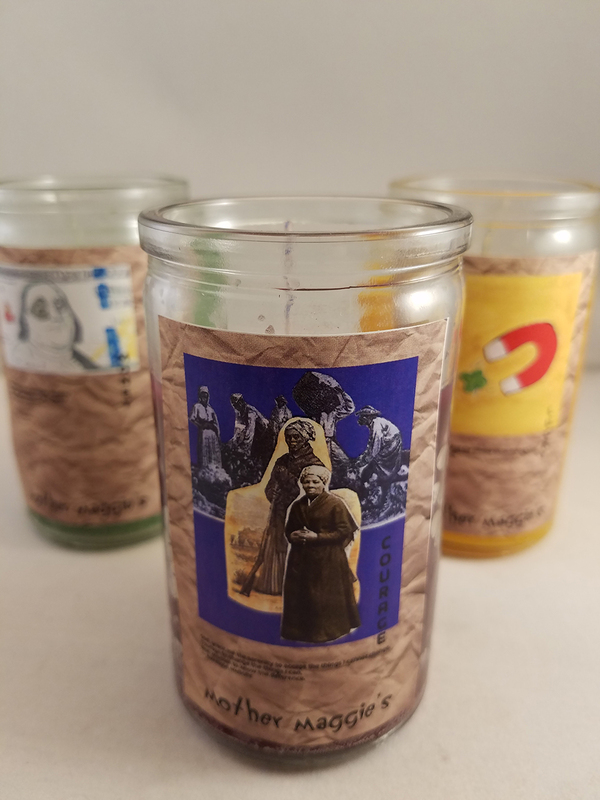 Mother Maggie’s labeled 7-day glass-encased candles come with a full “condition” label designed by Ian Philips. We've even included a brown-paper-bag background on the label so you can write your petition directly onto the candle glass. These are available plain or “dressed and blessed” with our condition oil blends, herb and root blends, and glitter. 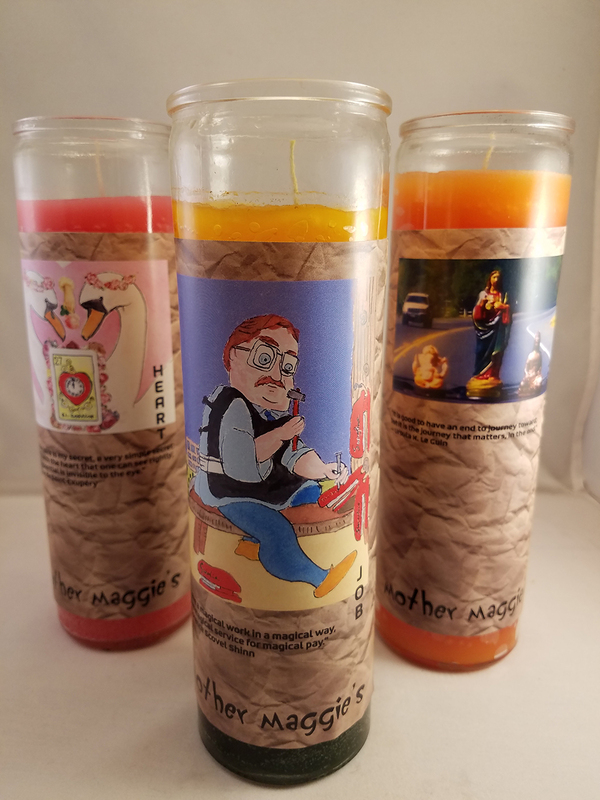 Use the comment section when ordering to let us know your specific intention or need or if you wish your “condition” label on a different color of candle, or email us with your details. These 2-day labeled glass-encased condition candles are a smaller version of the popular 7-day glass-encased candle. These smaller candles are very effective for focused spell work. A petition or photo can be attached to the label on the outside of the glass as desired. Our 2-day glass-encased candles generally burn for 1-2 days each, depending on conditions. 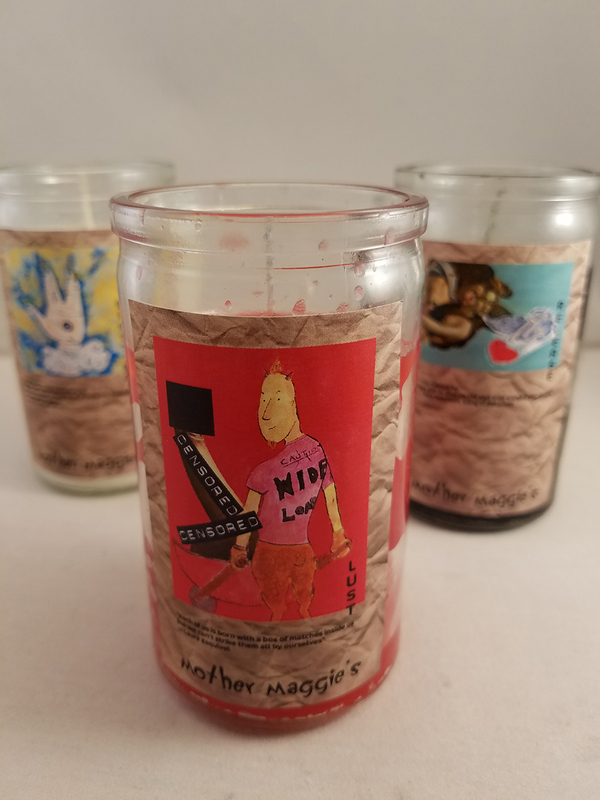 Mother Maggie’s labeled 2-day glass-encased candles come with a full “condition” label designed by Ian Philips. We've even included a brown-paper-bag background on the label so you can write your petition directly onto the candle glass. These are available plain or “dressed and blessed” with our condition oil blends, herb and root blends, and glitter. 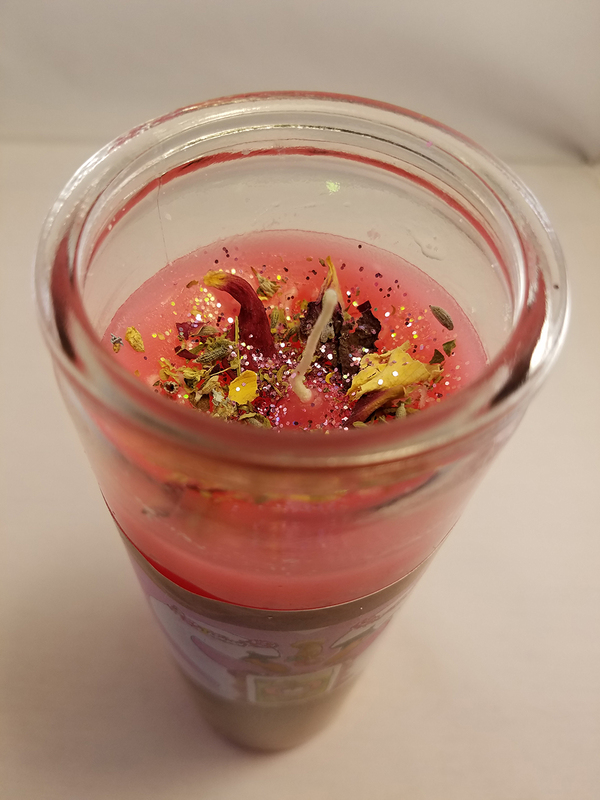 Use the comment section when ordering to let us know your specific intention or need or if you wish your “condition” label on a different color of candle, or email us with your details. Blessing helps to bless or to ask for help from something or someone bigger than you. The 7-Day is a seven-color candle. The 2-Day is a white candle. Traditional Hoodoo/Conjure Condition Name: Blessing. Cleanse helps to wash clean the spirit and to expel negative conditions. Both sizes are a white candle. Traditional Hoodoo/Conjure Condition Name: Cast Off Evil. Done helps to break out of binding situations and to break free from negative conditioning. Both sizes are a black candle. Traditional Hoodoo/Conjure Condition Names: Cut and Clear; Uncrossing. Fidelity helps to strengthen the bonds of honesty and openness between you and your lover. Both sizes are a gold candle. Traditional Hoodoo/Conjure Condition Names: Chuparrosa; Return to Me; Stay with Me. Heal helps to encourage physical, emotional, mental, and spiritual healing. The 7-Day is a seven-color candle. The 2-Day is a white candle. Traditional Hoodoo/Conjure Condition Name: Healing Miracle. Job helps to find and to secure a job or to improve financial conditions through job income. The 7-Day is a gold-and-green candle. The 2-day is a gold candle. Traditional Hoodoo/Conjure Condition Name: Steady Work. Journey helps to draw safety to your travels, whether they be crosstown or across the world. (See Vision for metaphysical travels). Both sizes are an orange candle. Traditional Hoodoo/Conjure Condition Name: Safe Travel. Law helps to draw the best possible outcomes with legal and court situations. Both sizes are a brown candle. Traditional Hoodoo/Conjure Condition Names: Court Case; Law Keep Away; Just Judge. Lovers helps to deepen the intimate bond between two (or more if in a polyamorous relationship) people who are sexually attracted to one another, whether it leads to an enduring commitment or not. Both sizes are red candles. Traditional Hoodoo/Conjure Condition Names: Adam & Eve; Love Me; Marriage Blessings. Lucky helps to attract and to keep good luck. The 7-Day is a gold-and-green candle. The 2-Day is a gold candle. Traditional Hoodoo/Conjure Condition Names: Attraction; Fast Luck; Good Luck; Lady Luck; Lodestone; Lucky 13; Lucky Buddha; Lucky Hand. Lust helps to draw a lover(s) or to increase passion with a lover(s). Both sizes are a red candle. Traditional Hoodoo/Conjure Condition Names: Come to Me; Dixie Love; Fire of Love; Follow Me, Boy; Follow Me, Girl; Kiss Me Now! ; Look Me Over. 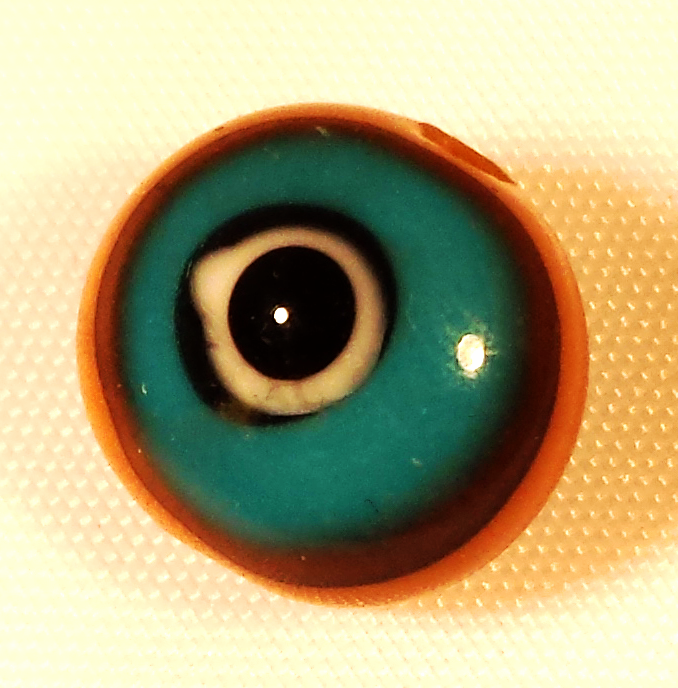 Mojo helps to boost personal magnetism, to enhance power of all kinds, and to strengthen psychic control. Both sizes are a purple candle. Traditional Hoodoo/Conjure Condition Names: John the Conqueror; Master Key; Master; Power. Money helps to attract money, abundance, and financial successes. Both sizes are a green candle. Traditional Hoodoo/Conjure Condition Names: Money Drawing; Money Stay with Me; Pay Me; Prosperity. Nest helps to create or maintain a happy home. Both sizes are a blue candle. Traditional Hoodoo/Conjure Condition Names: House Blessing; Money House Blessing; Peaceful Home. Open helps to remove obstacles within and without, leaving the way clear to move forward. Both sizes are an orange candle. Traditional Hoodoo/Conjure Condition Name: Road Opener. Rekindle helps to breathe new energy into a relationship that has broken down. Traditional Hoodoo/Conjure Condition: Reconciliation. Reverse helps to return to sender negative work done against you. Both sizes are a black candle. Traditional Hoodoo/Conjure Condition Name: Reversing. Shield helps to enhance your safety and to surround you with protection. Both sizes are an orange candle. Traditional Hoodoo/Conjure Condition Names: Fear Not to Walk over Evil; Fiery Wall of Protection; Protection. Success helps to inspire major achievements and draw the rewards and attention they merit. Both sizes are a yellow candle. Traditional Hoodoo/Conjure Condition Names: Crown of Success; Victory. Vision helps to bolster and broaden your divination and shamanic journey work. (See Journey for physical travels.) Both sizes are a purple candle. Traditional Hoodoo/Conjure Condition Name: Psychic Vision. Wisdom helps to accept what you do and do not know and the freedom that comes with that knowing. Both sizes are purple candles. Traditional Hoodoo/Conjure Condition Name: King Solomon Wisdom. Our “Candle Service” page is available here.